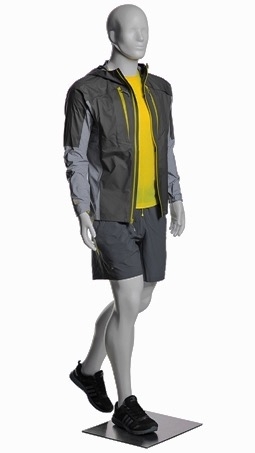 This abstract male mannequin is perfect for hiking / walking / athletic displays. 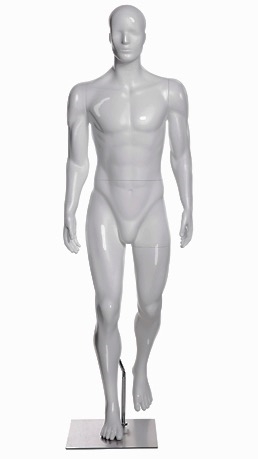 He features a muscular build with a glossy white finish. 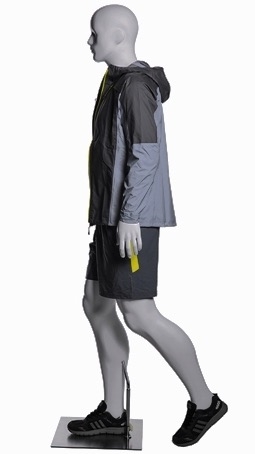 The movement in his pose is sure to capture attention!